Being a victim of identity theft is never pleasant, but identity theft at the hands of a loved one can be a life-altering experience. Knowing that someone has used your personal information for financial gain is one thing, but when that person is close to you, it’s entirely another. What happens when you suffer at the hands of a family member who victimizes you to commit identity theft? There are no easy answers, but here are the best ways to protect yourself, along with strategies to deal with the repercussions. Identity theft comes in many forms. Anytime someone uses your personal information for gain – usually financial – without your consent, that is identity theft. The information identity thieves seek can come from anywhere: documents, emails, or personal data stolen from commercial databases. Financial: Many forms of identity theft have some financial component to them, but financial identity theft occurs when the thief uses your information to obtain a loan, withdraw funds from your bank account, uses your credit cards to make purchases, or opens new lines of credit in your name. Tax: Filing false tax returns with someone else’s personal information, or falsely claiming to be someone else to receive a tax return or other benefit is a common type of identity theft. This type of theft can happen at any time of year, but is more common in the early months of the year, as thieves rely on most people waiting until April to file their taxes and learn that they’ve been victimized. Medical: Someone who uses your identifying information to acquire health care services, prescription drugs, or any other medical-related benefit has committed identity theft. This type of theft can be perpetrated by anyone, but the problem is most common when a family member has a drug addiction or does not have health coverage. Employment: With employment identity theft, the thief uses your personal information to obtain employment or benefits. For example, someone who steals your Social Security Number to apply for a job has committed employment identity theft. Criminal: While identity theft is often a crime in and of itself, some instances occur in conjunction with other crimes. For example, if someone gives your identifying information to a police officer who has given them a traffic ticket, they have committed identity theft in addition to the traffic violation. Other: Newer forms of identity theft have become increasingly common in recent years as the Internet has continued to expand. Romantic identity theft, sometimes called “catfishing,” occurs when someone pretends to be someone else to attract a romantic partner. These masquerades are often accompanied by requests for wire-transferred funds or cash advances. Similar scams can involve the thief pretending to be a government official or someone in a similar position of power to persuade the victim to transfer funds or personal information. Use of a Minor’s Identity: People under the age of 18 can’t get credit cards, obtain loans, or any other form of credit. But, it isn’t uncommon for parents or relatives to use the personal information of a child or relative to open new accounts. In many situations, a child whose identity is stolen doesn’t learn of the theft until they are old enough to apply for credit on their own, only to discover their credit is ruined. 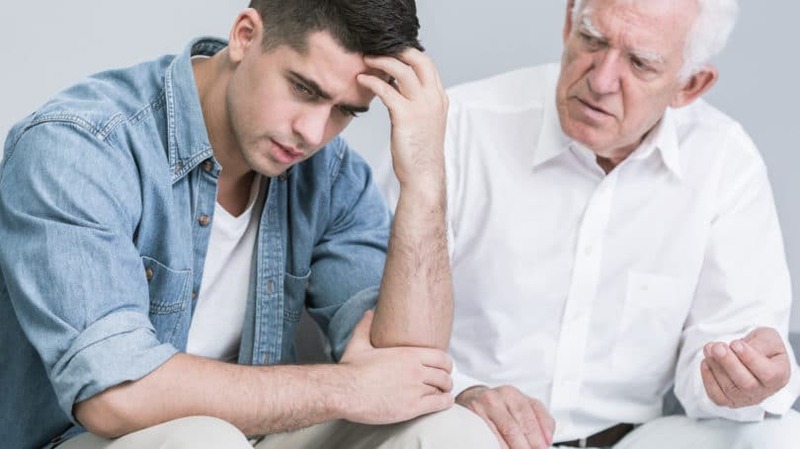 Use of an Elderly Person’s Identity: This situation is most common when an elderly parent or grandparent has diminished abilities and is being cared for by an adult family member. For example, an unscrupulous adult child caring for an elderly parent is often in the position to control the parent’s mail and communications. In such situations, the adult child can easily use the parent’s personal information to commit identity theft. Use of Spouse’s Identity: Spouses commonly share personal information, making it easy for them to commit spousal identity theft. Spousal identity theft can occur when, for example, one spouse uses the other spouse’s information to open new credit card accounts without the spouse’s consent. 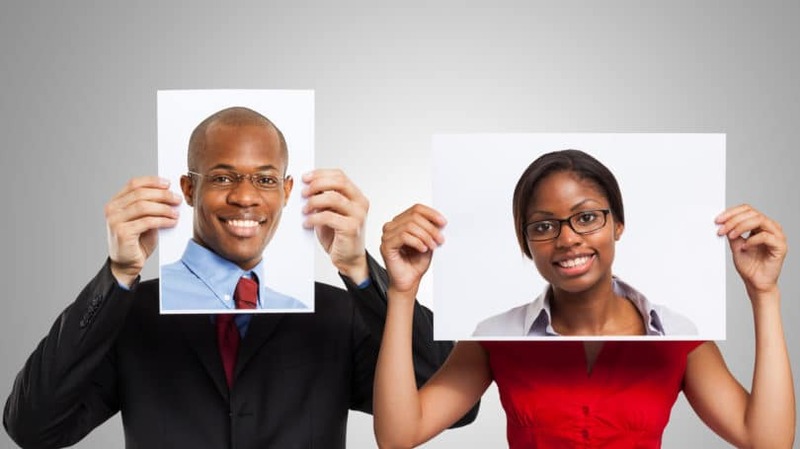 Use of Sibling’s Identity: Your brothers and sisters, especially if they look like you or are of a similar age, can appropriate your identity. Financial, medical, employment, and criminal identity theft can occur among siblings. Even seemingly innocent forms of identity theft, such as a younger sibling using your identity to buy alcohol, can have serious repercussions. Identity theft can significantly affect your life, even if the theft is minor. The time and effort to clear up errors on your credit reports, for example, can be a headache. 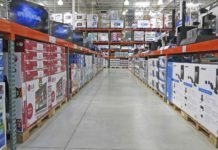 If the theft results in more serious complications, you could spend years trying to get everything back to where it was before, though that’s not always possible. Credit Score: When someone uses your identity to apply for or open new forms of credit, your credit score is almost certain to suffer. The most significant damage will come when the thief fails to make payments on the debt in your name. However, your score can lower if the thief only applies for credit, even if they’re denied. Lowered credit scores can make it much harder to obtain new forms of credit, but they can also lead to increased interest rates, lowered credit lines, and can even affect your chances of getting a job. Creditor Relations: If someone steals your identity to open a new credit card, the card company will pursue you if the card charges go unpaid. Collections agencies can contact you or even file lawsuits against you to recover the funds. Unless you make it known that the unpaid bills are a result of identity theft, you will be responsible for payment. Financial Losses: In situations where the identity theft involved someone stealing funds from your accounts, the biggest loss will be the money. While you may be able to recover the lost funds, or dispute the charges if the thief used your credit, sometimes the loss is unrecoverable. Auto Insurance Rates: Almost all auto insurance carriers use your credit score when they determine your premiums. If your credit score is affected by identity theft, this can lead to higher premiums and increased difficulty in obtaining new insurance. Tax Consequences: Not only can it cause you to lose your tax refund, identity theft can also lead to higher tax bills. If the thief uses your information to obtain a job and receive income, you may find yourself on the hook for more income taxes than you expected. Financial Aid: If you or your child plans on using government financial aid for college, identity theft can derail this opportunity. If the theft resulted in earnings being misattributed to you or your child, that will negatively affect the prospect of receiving financial aid. And, since most minors don’t check their credit reports, they may not know they’ve been a victim of identity theft until they’ve already applied. College acceptances have limited time lines, and most young victims only discover the theft after it’s too late to correct it. Criminal History: Some victims of identity theft can find themselves amid a criminal case for a crime they weren’t involved in. Or, they may find that they have a criminal record even if they’ve never been charged with a criminal offense. If, for example, someone uses your identity as an alias when they are charged with a crime, that record may become associated with you. Amending wrongful criminal records can be a difficult process, and one that typically requires the assistance of an attorney. Regardless of who stole your identity, you have to deal with the consequences as soon as you discover the theft. Though no two identity theft situations are identical, and the specific steps you’ll need to take may differ depending on your circumstances, there are several steps you’ll want to consider. Because family identity theft can significantly affect your relationships, you’ll need to weigh each of these options carefully. You’ll need to decide whether you’re comfortable with what a particular option might mean for the family member involved, as well as for yourself and your other relationships. It’s important to note that if you are considering filing a lawsuit to try to recover the money you lost or the damages you incurred, you may have a duty to mitigate additional damages once you discover the theft. This means that you will need to act as quickly as is reasonable to ensure that you suffer no additional damages. Review Your Credit Reports. No matter what kind of identity theft you experience, one of your first steps should be to review each of your three credit reports from Experian, TransUnion, and Equifax. As a consumer, you are entitled to a free credit report once a year. Go over each of these reports and see if there are any items you do not recognize or credit lines you did not open. Make sure to fix credit report errors when identified. Change Your Passwords. Changing your passwords is an easy step that you should take no matter what kind of identity theft you’ve experienced. A good password is as long as you can make it, uses multiple characters and numbers as well as letters, is easily memorized, and is difficult for others to guess. Consider a Credit Freeze. When you apply for a loan, your creditors will look at one or more of your credit reports to determine if you are creditworthy. You can contact each of the credit bureaus and tell them you want to prevent any new forms of credit from being opened by placing a credit freeze on your reports. To initiate a freeze, you’ll have to contact each company, provide information, such as your SSN, date of birth, etc., and pay a small fee. (The fee differs depending on your age, state, and circumstances, but usually costs between $0 and $20. You may also have to pay an additional fee if you want to unfreeze your credit later.) Though this step isn’t necessary, it is something you should consider if you believe there is a risk of additional accounts being opened in your name. Place a Fraud Alert on Your Credit Reports. Short of closing your credit reports, you can contact each credit bureau and request they place a fraud alert on your account. A fraud alert lasts 90 days and will let potential lenders know that they need to be careful if someone using your information tries to open a new credit account. Later, if you file a police report or a complaint with the Federal Trade Commission, you can submit these to the credit bureaus and extend the alert for seven years. Contact Creditors and Banks. If the identity theft involved the thief using your credit cards, debit cards, or other financial accounts, you need to call the appropriate bank or card company and inform them of the theft, as well as any fraudulent charges or accounts. For example, if you find out that someone opened a credit card account under your name, you should contact that bank and tell them what happened. You will likely have to prove your identity by providing personal information and may have to send documentation. You should also contact your utility providers, Internet service provider, and cell phone company. Ask each of these companies what they require of you to release you from liability for fraudulent accounts. Some may ask for copies of a police report or FTC claim. Contact Police. Identity theft is a crime, and you can file a police report if you believe you have been victimized. Your creditors may request a copy of your police report if you contact them and tell them you are not responsible for any new accounts opened in your name, or charges made with your accounts without your permission. However, you are not legally obligated to file a police report. Also, once you file the report, the actions that police and prosecutors take are decided by them, not you. Contact the Federal Trade Commission. The Federal Trade Commission, or FTC, is responsible for tracking and prosecuting identity theft crimes across the country. Typically, the federal government only initiates criminal prosecutions when there are large-scale identity theft incidents, or when the theft involves organizations, but it is possible for them to prosecute individuals. If you want to file an identity theft complaint with the FTC, you’ll have to complete an affidavit, which is a sworn document that details the facts as you understand them. As with police reports, you are not obligated to file a claim with the FTC. However, if you do not file an FTC claim or make a police report, companies that have new accounts opened in your name without your permission might refuse to release you from repayment obligations. Contact Other Agencies or Organizations. 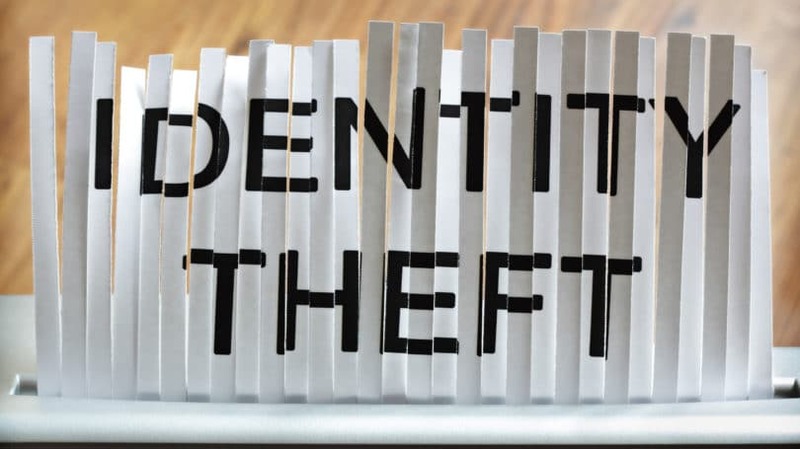 If your identity theft involved the use of your driver’s license number, Social Security Number, or another type of identification, you should contact any associated agencies to notify them of the theft. For example, you can contact the Office of the Inspector General if you believe the thief used your SSN. You may also need to contact your state’s license bureau if you think you need a new driver’s license number. Identity theft can lead to a lot more than financial, tax, or criminal consequences; it can change how you see yourself and the world you live in. People who are victims of identity theft commonly experience a range of negative emotions. Feelings of guilt and embarrassment are extremely common, especially among elderly people who believe they did something wrong or were foolish for falling victim to a scam. Similarly, feelings of frustration and anger can overwhelm identity theft victims, especially as they try to repair the damage. Beyond that, anxiety about the world not being a safe place can lead victims to trust others less, worry more, and change their behavior so that they no longer pursue the things they once enjoyed. For some people, these feelings can deepen into a depression, which can lead to serious health consequences. If you experience any of these effects, you should speak to your doctor or mental health professional. Identity theft is traumatizing enough as it is. But when the thief is your spouse, brother, or child, the fallout is that much more devastating. You might be able to accept that some thief you don’t know used your identity to his or her own gain, but accepting that the person who victimized you is someone you love is a different matter altogether. What are you supposed to do when your family member steals your identity? On an emotional level, there’s no single way to confront the betrayal of trust that occurs when a loved one steals your identity. The financial and legal aspects aside, what happens to your relationship after you discover the theft is up to you and the other family member to decide. If it’s a minor theft or something that didn’t result in significant damage, resolving the issue may be simple. But if the theft has been ongoing or is significant, you’ll have to decide how you want to approach it. Talking to the person, writing a letter, limiting your contact, or breaking the relationship off completely are all options you may want to consider. You may also want to talk to a counselor or mental health professional, especially if you’re having problems dealing with the aftermath. How do you correct the damage you’ve suffered at the hands of a family member who stole your identity? This question will complicate everything else you must do to clear up the mess left behind by the theft. Again, there are no universal answers, but there are options. With family identity theft, the most common way you might handle it is by keeping it between yourselves. You are under no legal obligation to report identity theft to the police or authorities, nor are you obligated to file a lawsuit or pursue any other remedy that involves the government or the courts. If you so choose, you can do nothing at all. Instead, you can try to resolve the situation between yourselves. Asking the family member to pay you back can be effective. Writing a basic contract that states the terms of repayment can also help. You might choose to forgive some, or all, of the owed debt, as long as the family member agrees to behave responsibly or assist you in clearing up any complications caused by the theft. Deciding to keep the situation private is an option for those who want to repair their relationship with the other family member. It may not be the best option legally or financially, but it is something you may want to consider if having a relationship with this person is more important to you than anything else. If you decide to pursue something other than the informal solution outlined above, you’ll first want to consider the civil remedies available to you. Civil law, as opposed to criminal law, does not involve the possibility of jail time for the thief. Rather, it involves you filing a lawsuit to force the thief to repay you for the losses or damages you’ve suffered. Depending on your circumstances, you may be able to file a small claims lawsuit or hire a lawyer to try to recover a larger amount. If the identity theft involves financial institutions that have violated state or federal credit or consumer protection laws, such as the Fair Credit Reporting Act, you may be able to file civil lawsuits against those organizations as well. If you are considering filing a lawsuit to help you recover the money you lost or to help compensate you for the damages you incurred, you should contact a local consumer law attorney. Filing a police report will initiate the criminal justice process – a process that can compensate you for your losses and punish the thief criminally. Anytime you initiate the criminal justice process, you should know what the possible outcomes are and understand that you have little to no control over what happens. You can’t control if the police investigate, if the prosecutors decide to charge the suspect with the crime, or the kind of sentence the court decides to give – your desires are secondary to those of the state. As a witness and a victim, you can be required to testify or provide evidence that can help convict the suspect of the crime. If a court finds the thief guilty, it will usually order restitution as part of the sentence. Restitution is money the thief must pay to compensate you for your losses. In addition to restitution, the convicted person can face probation, fines, jail, or other consequences for committing identity theft. Identity theft is a crime that isn’t going away anytime soon, and it is one that affects millions of victims every year. But theft at the hands of a family member, spouse, or close friend is something entirely different. Managing the financial, legal, and credit fallout is one thing, but managing the damage to your most important relationships is another. Deciding how to address the theft is something that will require you to balance several factors, many of which will affect the most important people in your life. It’s never an easy process. Have you been the victim of family identity theft? How did you deal with it?